We help you with the whole process and preparing all the necessary document for you to apply for the Macedonian resident permit. Macedonia, the official name is the «Republic of Macedonia», is a small, fairly young democratic state on the Balkan Peninsula with a population of slightly over 2 million people. About half a million of them are residents of the capital of Macedonia ¾ Skopje. A few tens of thousands of people more live in other large cities: Bitola, Kumanovo, Prilep, Tetovo, Ohrid, Veles, Stip, Kocani, Gostivar and Strumica. Macedonia’s neighbors are Bulgaria, Greece, Albania, Kosovo and Serbia. The official language is Macedonian; it has similarities with Bulgarian and Serbian languages; the alphabet is based on the Serbian Cyrillic alphabet. 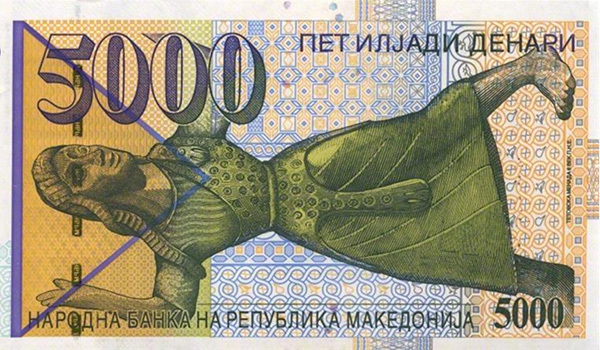 The official currency is the Macedonian denar. 1 euro = 61.5 denars. Macedonia’s economy is open market-type, poor, but stable. This is its pros and cons at the same time. Along with its proximity to Europe, it is an excellent opportunity to open and successfully develop one’s own business. Conditions for doing business in Macedonia are good and promising: low taxes, effective laws and government support. There is not much money in the country itself, however, one can focus not only on the rather poor local market, but also wisely use its close proximity to Europe. Macedonia has no access to the Mediterranean, but there are large, fresh lakes. The largest of these are the borderline Ohrid and Prespa Lakes. The mountainous terrain and the vast valley of the Vardar River flowing into Greece (the river is called Axios in Greece). The nature here is wonderful; the climate is pleasant; people are good-natured. A simple and fast procedure for obtaining a residence permit, inexpensive real estate even in the capital, proximity to Europe, as well as much scope in choosing business ideas make Macedonia an increasingly popular country for immigration. 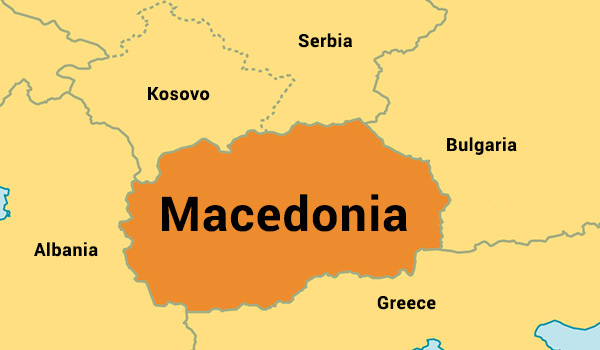 Macedonia is a fairly open country. For immigration to Macedonia, you need a visa, for which you apply to the Embassy of Macedonia in your country or to a visa center. An original and a copy of the international passport. A copy of the domestic passport. Photos 3 by 4 cm. An invitation from an employer, a university, a relative or a close friend. Depending on the purpose of the trip to Macedonia, additional documents may be required. The employment option does not look attractive, because Macedonia is not a country, where work can be easily and smoothly obtained. The country’s labor market is relatively weak; there is a high unemployment rate among the local population, while the work itself is not stable and profitable. It is even harder to get a job for immigrants. If you are a qualified and highly skilled specialist in an industry of interest to the Macedonian economy and you have been able to obtain an invitation from a local employer, you may freely obtain a residence permit and enjoy all the rights of a resident of Macedonia. However, such cases are exception rather than the rule. A much more attractive pretext for immigration is the opening of your own business, in which you may not only obtain a residence permit, but if you wish ¾ for the money of your company’s authorized capital, ¾ you can buy real estate. The Macedonian economy has created favorable conditions for the development of small business. Of course, entrepreneurial activity must be carried out officially, according to all the rules and laws of the country. In order to implement their business idea, those who have already decided to move to Macedonia recommend to live in the country for some time (or visit it several times) before moving, to make acquaintances both among locals and among immigrants. This will help you to assess and feel the situation on the market and to choose exactly that niche of business that will become a fertile ground for the most effective application of your knowledge, skills, experience and finances, as well as to give you an opportunity to very quickly get the result. If the business is profitable, and the entrepreneur lives in the country for 8 years, he can claim the citizenship of Macedonia. The procedure for obtaining a Macedonian passport is quite fast and simple. It is necessary to distinguish between the concepts of residence permit and permanent residence; the procedure to obtain the latter is more complicated. For example, for an investor, permanent residence is issued in case of investing in the country’s economy at least 40,000 euros; permanent residence can also be obtained in the event of marriage with a citizen of Macedonia, or for special services to the country. Knowledge of the Macedonian language at the level free for communication. Waiver of previous citizenship or provision of a document confirming that after obtaining the citizenship of Macedonia, the previous citizenship will be lost. In Macedonia, a residence permit is issued to all business owners, who own real estate or rent accommodation in Macedonia. Opening an LLC will not require super-effort; the procedure is fairly simple. Macedonian laws allow opening an LLC with a single foreign founder, who will then hire himself. The big plus is that it is possible to open one’s business in Macedonia remotely, using the services of a Macedonian lawyer. To open is to register a company, open an account with a bank, to obtain a set of constituent documents. Nothing can be done without a lawyer, because this is a requirement of local legislation. All document flow may occur in electronic form. The services of a lawyer for such cases will cost about 200 euros. Registration takes 2 weeks; all original documents may be received by mail. 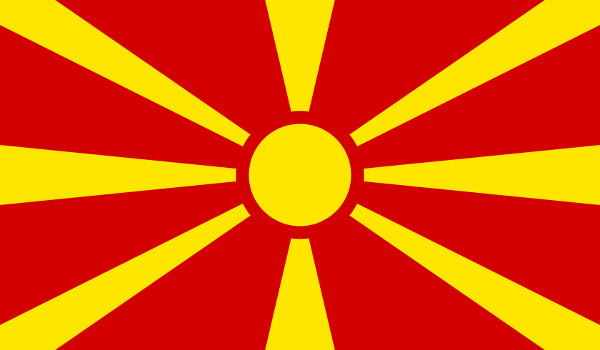 With original documents, it is necessary to apply to the Consulate of Macedonia in your country. Documents required for the registration of a residence permit are provided by the Consulate for about a month. Then you should physically visit Macedonia to obtain original documents and activate the company, because when it is registered remotely, it receives the status «Ready to start». This is not enough to obtain a residence permit. The company’s founder must personally come to a bank, activate an account and personally sign the original documents. Also on the site, you need to sign a labor contract with a hired Director or register yourself as the company’s Director. After obtaining a residence permit, an applicant has the full right to reunite with his family; for this, dependent visas shall be obtained for his family members. This is a more simplified procedure, in contrast to the registration of an LLC and a residence permit for a legal entity. An applicant receives a non-resident temporary passport «картица»; on the basis of this document, members of the non-resident’s family have the right to obtain residence permits. Residence permits («лична карта») for minor children are issued directly in the country, on the basis of family reunification. For this, children do not need to leave and again enter Macedonia. Family members may come as tourists and obtain «лична карта» right here, i.e. change their status of tourists to residents of the country. For some types of business, there are preferential tax schemes, and even tax holidays for a period of 10 years. The authorized capital; it may be paid within a year. 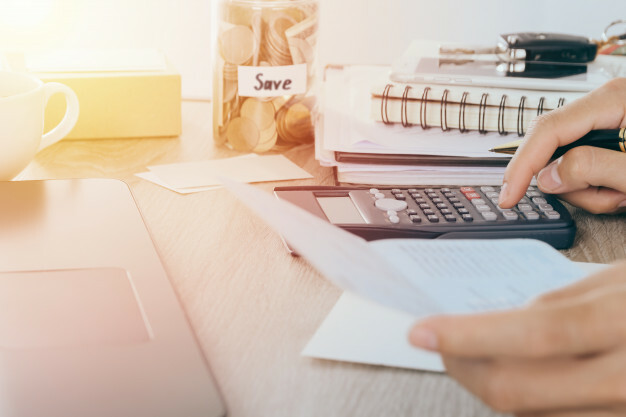 Accountant services are 50 euros per month (at the initial stage, it is better to use the services of a local specialist unless you are a pro in accounting yourself). A virtual legal address is 50 euros (a lawyer, whose services you use when preparing your documents will provide you with it for this money). It is also possible to indicate the actual address of residence as a legal one, if you are buying a real estate in Macedonia, or you agree on this with the rented dwelling’s owner. In this case, you save 50 euros. The minimum wage in Macedonia is, in terms of euros, 150 to 200 euros. If the LLC you opened has one fulltime employee, i.e. you, then the tax that you have to pay to the state will be about 60 euros per month. The total cost of maintaining the business will then be about 2,000 euros per year. As of today, obtaining a residence permit is also possible for business owners with zero reporting. Deposit of funds to an authorized account of the newly opened company. Purchase of real estate for the company, at the expense of the authorized capital. Transfer of the company to a “sleep mode”, which means that the company does not conduct business in the country, but simply owns real estate and submits a zero report once a year. The cost of annual maintenance of such a company is rather low. The fact of owning a real estate is sufficient for local tax authorities. The most important point for immigration to Macedonia is the selection of a qualified lawyer, who has the knowledge and experience in doing business by residents of third countries (i.e., not from Macedonia and not from the EU). Due to the fact that opening a micro business by residents of third countries in Macedonia is not yet sufficiently developed and popular, there are practically no obstacles on the part of the state to their entrepreneurial activity, even if it consists of just owning real estate. Macedonia is a very inexpensive country for living; having 300 to 400 euros of income or savings for the first time, it is possible to live for a month without super-effort in terms of savings, provided that you do not rent accommodation. For a family of 3 people, 1,000 euros are considered a fairly good income. As for the purchase of real estate, a small house in the average condition will cost about 20,000 euros. The price depends on the city and location relative to the city center. Rental dwelling in Skopje: a 2-bedroom apartment, not in the city center, about 45 square meters, will cost 180 to 200 euros per month; an apartment in the city center will cost 250 to 300 euros. The cheapest accommodation in Skopje can be found for 120 to 130 euros. Daily rent of suits is 25 to 30 euro per day off-season. Dwelling for rent is almost always in good condition. Not in Skopje, but in smaller towns, a 2-3-room apartment can be rented for 120 to 150 euros per month. Excellent towns for life: Strumica, Negotino, Gevgelija, Valandovo, Stip, Kriva Palanka. There is a bus service to Skopje from each of them; a two-way ticket costs approximately 300 to 800 denars. Dwelling for rent is almost always in good condition. A child may be enrolled in a Macedonian school without any problems. Paid medical service is relatively inexpensive and cheaper than in other state capitals. A child may be enrolled in a Macedonian school without any problems; it is necessary only to register with the Ministry of Education, so that he can officially receive all the certificates of graduation and continue studying in the country, if necessary. A state kindergarten costs about 1,500 denars per month (meals included); it operates from 6 to 18; food is of good quality. In schools, there are no meals, but there is a paid after-school center ¾ about 1,200 denars (meals included). Having local medical insurance, (when obtaining a residence permit, its obtaining is a prerequisite), the state pays 80% of the cost of your medical expenses, including basic medicines. Paid medical service is relatively inexpensive and cheaper than in other state capitals. A visit to any physician costs from 300 denars; dentistry (filling, anesthesia, etc.) costs about 900 denars. Sports section for a child (soccer, basketball) ¾ 1,000 to 1,200 denars per month; fitness (3 times a week) ¾ 1,000 denars for a monthly subscription. A ticket to a 3D- movie at the weekend ¾ 250 denars, while on weekdays and in the afternoon ¾ from 120 denars. Carousels, lunaparks ¾ 30 denars for one attraction; a ticket to the zoo ¾ 50 denars, to a museum ¾ 30 denars. One-way travel by bus costs 35 denars ¾ this is about a half euro. Carousels, lunaparks ¾ 30 denars for one attraction.